Why has an employer written this stuff? Selection criteria are a strange beast. Answering selection criteria is even stranger. This is a sister post to our job description post from 2016. Check out What does that mean?, for more information. Selection criteria are about to take over the world of employment. It’s time to understand their purpose. As their name suggests, selection criteria are a set of requirements by which a prospective employer gauges your suitability for a role. An ideal candidate is one who meets all the requirements. If you do not meet all requirements, more often than not, you will not get an interview, regardless of your qualifications. Selection criteria are serious enough that if no applicants meet them, an employer will readvertise a role. In some cases, each requirement will receive a certain weighting, to signify its importance. This helps differentiate between candidates with weaknesses in different areas and gives candidates an indication to what extent they should be addressing that area. Basically, employers include this stuff because they want you to address it. In putting it there, an employer wants you to give an example of how you have met those requirements. This can be a bit confusing though, because selection criteria responses are usually in addition to addressing the job description components, as you should be doing in your resume. So what are you supposed to do? Confusingly, there’s no common rule for what you should be doing with selection criteria. It depends on what the employer asks for in the job ad. Sometimes an employer wants you to address them in your resume, sometimes they want you to address them in your cover letter, and sometimes they want a separate sheet in addition to your tailored resume and cover letter, as is the case for the above to examples. 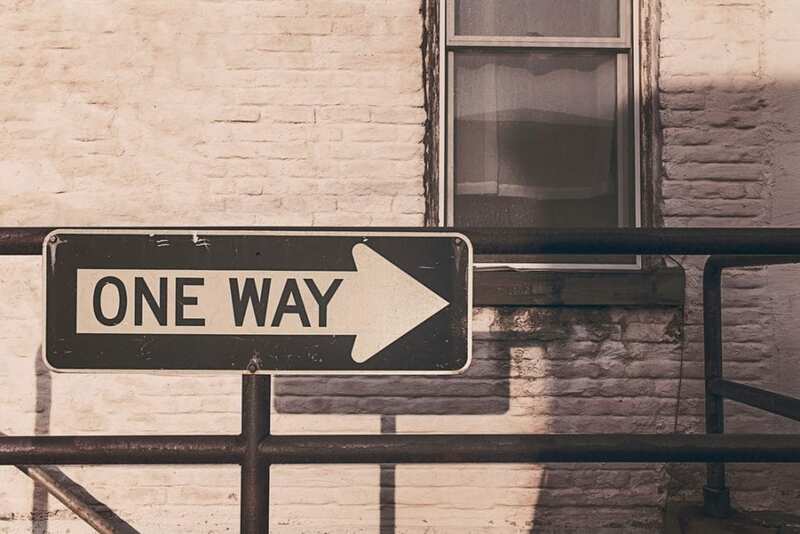 Regardless of how the employer asks for the selection criteria responses to be provided, what you should be doing is reflecting on your experiences and providing examples of how you have met the criteria. If it asks for high-level interpersonal skills, give an example of how you oversaw a complex group project, etc. In the case of a cover letter or additional sheet, when addressing selection criteria, you will need to give specific examples in long form answer. The best way to respond is the STAR method, standing for Situation, Task, Action, Result. Explain background. Where were you, etc? What was required of you? What did you do to complete the task? 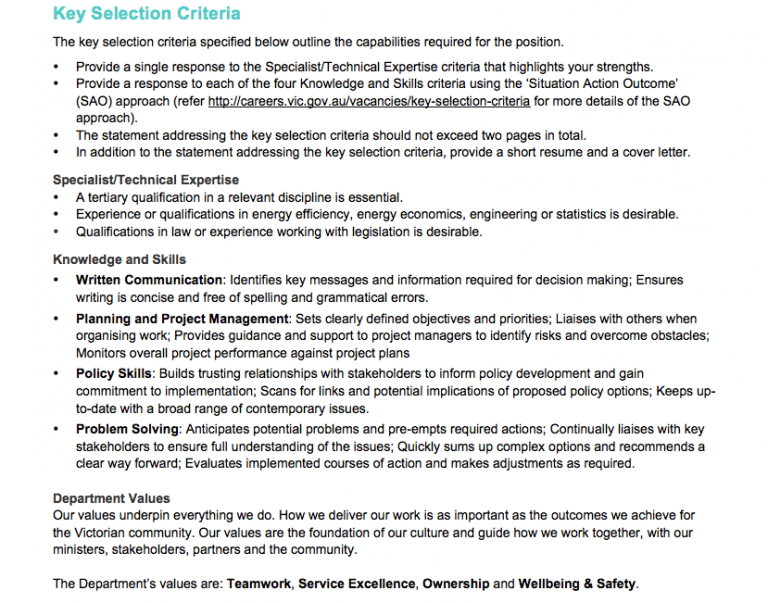 After speaking to several recruiters, it’s also important to address selection criteria in the order they are listed. Many recruiters and hiring managers will print out your application along with a separate copy of the selection criteria responses. As they run down your application, they will also run down the selection criteria and tick off each criterion as it is satisfied. If you change the order, recruiters become confused or disinterested. Finally, if the ad listing doesn’t include how you are expected to respond to the selection criteria, get in contact and clarify. Everyone makes mistakes, so they might have forgotten to include that information. It also goes a long way towards showing you really are interested in the position. When answering selection criteria, you need to think about your experiences and how they fit with a prospective employer. Successful Graduate gives you the tools to translate what’s being asked in selection criteria from your previous experiences. You’ll learn how to understand your skills and frame them in a way that makes sense to an employer. Become a graduate employment native now. Become a Successful Graduate today . Learn how to start your career!